Autopsy of a Deceased Church is a powerful little book that you can digest in one sitting. It should be a must-read for all elders and any who care about their assemblies. While a few of the points may not apply to all assemblies most of them do and are food for thought. Buy at Amazon. This book provides simple observations as to why so many churches in America have closed their doors over the past 30 or so years. 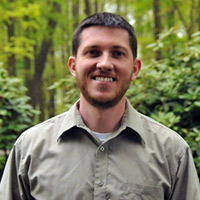 The author, Thom S. Rainer seemed to have approached his subject objectively with real stories he experienced throughout his years involving multiple types of denominations. I found this book to be a good and interesting read. The main idea that hit home to me was how it is typical for dying churches to not have any real, genuine prayer together. It was also interesting to note that he discovered “very sick” churches on the verge of death relied heavily upon a few of the paid staff to take care of everything and everyone. It reinforced the value of having a simplistic NT church where everyone is used as part of the body of Christ in a local setting. I would recommend reading this book for the main purpose of learning or being reminded of symptoms that can lead to an eventual death of a local gathering to the Lord. Autopsy of a Deceased Church by Thom S. Rainer is a fascinating little book that explores the reasons why local churches die. 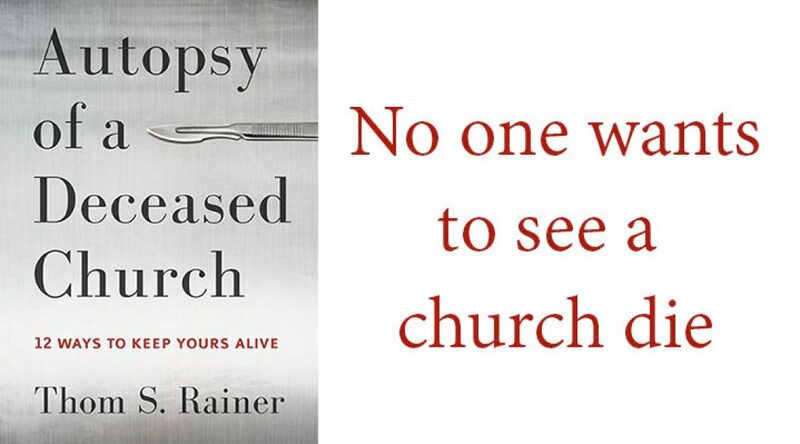 Just as a coroner conducts a thorough examination of a corpse to determine the cause of a person’s death, Rainer conducted a thorough examination of fourteen deceased churches searching for the underlying reasons why each church was forced to close their doors. The result is a book that reads like a deceased church’s postmortem and thoroughly details the causes of death. Rainer looks beyond the obvious externals by carefully dissecting each of his subjects to reveal the hidden causes of death. Therefore, the book digs much deeper than critiquing music, clothing styles or scheduling issues. 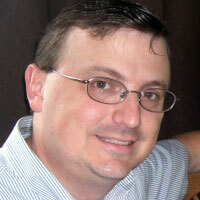 Rather, Rainer reveals certain toxic attitudes of the congregants that ultimately assassinate a local church. In the final three chapters the author provides twelve ‘responses’ or suggestions for congregations that are dying. The ‘responses’ provided range from relatively minor to drastic and are calibrated to the severity of the subject’s symptoms. Overall the book is helpful in identifying toxic attitudes that kill local churches. Autopsy of a Deceased Church is short and easy to read, yet provides much to consider. I commend this book to you—and who knows, the church you save may be your own. Can I buy and read this book online? Hi Don, You certainly can. Go to http://amzn.to/1PjXZKF and there is an option to buy a physical copy or a Kindle edition. I’ve heard of this book. It came highly recommended by my pal, Jerry Denny. Thanks for adding your recommendations to his. Scott, I think the lack of corporate prayer is critical, as you point out. But there are a couple of other major issues (maybe just as big, in my view). The first is the habit of seeing the assembly as something that “happens” for about four hours a week, or a place that “members attend.” When the assembly ceases to be a body of believers whose lives are knitted together 24-7 in fellowship, it is in a lot of trouble. This sort of symptom is more visible in NT assemblies, precisely because we do not have paid staff to hide the flaws. Secondly, there is the form of phariseeism that “worships” the “good old days,” when certain people were here and certain practices were practiced. The problem is, of course, that when you do that, you are inadvertently saying that people who have come into fellowship within the past 5…10…20… years are irrelevant (since everything good happened in the old days, and every person of value was associated with the people of the old days). Simple arithmetic shows us that this quickly comes to marginalize and discourage the MAJORITY of those here now, while creating an “elite class” of the people of the old days (and there descendants) and the old practices (and their practitioners). Good stuff, brethren. Looking forward to reading the book. Excellent points James and there is a whole chapter in Rainer’s book on living in the past. I believe your point on fellowship is one of the most critical issues facing our assemblies. In many cases assemblies have stopped “being” the church and have started “doing” church. Thanks, brother. Of course I meant “their” descendants, not “there descendants.” Dopey me. The book is available thru CBD also. It hit home here in Cleveland area. We could count 5 assemblies that closed their doors. Most for reasons listed in the book. The authors viewpoint is from the Southern Baptist experience, yet even the observations regarding rejection of pastors can be seen in relation to elders authority in scripture. I gave copies to our elders.